A dramatically growing specialized field of dentistry best known as cosmetic dentistry in Virginia. In cosmetic dentistry, the focus is on improving the patient’s smile through changing the aesthetic look of the teeth, smile and mouth. Many folks view cosmetic dental practices as being elective procedures–as opposed to necessary or general dental treatments–yet the importance of having a nice, engaging smile can make people feel better about themselves. Cosmetic dentistry is the only way to improve your smile, whether you are missing or have damaged teeth, gaps, or your teeth are stained or discolored. Your cosmetic dentist in Arlington, Virginia will offer all services in our comfortable dental office. Clients don’t need to worry about being referred to any additional specialists. Our expert dental team will oversee and perform all your cosmetic dental procedures, in a manner that is convenient to your schedule. With the most innovative cosmetic dentistry procedures, our Arlington, Virginia dentist office will work to save as much of your tooth structure as possible. This saves you money, preserves your teeth and eliminates the need for more invasive or serious dental procedures. There are currently many cosmetic dentistry procedures available in Virginia. Composite bonding is the process of replacing damaged, chipped, broken and discolored parts of teeth through the use of a special safe and natural composite material. Are used to replace any missing teeth, dental implants are artificial tooth root replacements options. Adhesively bonded, US made, applied to the surface of a tooth or multiple teeth to cover any gaps, cracks, brakes and chips in existing teeth. This procedure also will improve the color and appearance of the teeth. Inlays are used also best known as indirect fillings; are a longer lasting fillings that add to teeth with tooth decay or other structural damage. Teeth Whitening is the most popular procedure practiced in cosmetic dentistry in Northern Virginia. Our custom tailored whitening removes all stains on teeth. The cosmetic procedure can be performed in the comfort our cosmetic dentist office. Gentle Care Dentists in Northern Virginia offer cosmetic dental services for patients throughout the Northern Virginia metro area. As an experienced cosmetic dentistry office, we make it possible for our patients to have the perfect smile they have always desired using a variety of modern dental techniques and treatments. Our Virginia Dental Office is committed to high-quality patient care and we work hard to guarantee patients are comfortable during their procedures. This makes us the provider of choice for patients throughout Virginia. Gentle Care Dentists takes the time to get to know each patient and their goals. This focus on exceeding patient goals and needs involves correcting problems with how particular teeth or an individual tooth appear. Thanks to our innovative dental techniques, we can help patients throughout Arlington, VA to accomplish these goals in a way that is comfortable while producing optimal outcomes and gorgeous results. People in the Washington, DC metro area no longer have to live with a smile that they don’t like or are embarrassed of. Even clients with significant stains, cracked, damaged teeth and open gaps can experience the natural transformations available when working with Gentle Care Dentists. Some folks hear the word “cosmetic” and automatically assume that we only treat people that are looking to enhance their smile. While our dental office is a well skilled in cosmetic dentistry, this specialty of dentistry involves more than creating a youthful smile aesthetic. Many people have used cosmetic dental procedures to improve their smile, but these procedures accomplish far more than that. Cosmetic dental procedures can also restore the strength and functionality of teeth, along with the self-confidence of our patients. People throughout the Washington DC, Maryland and Virginia area travel to our office after an accident or after having damaged their tooth. The American Dental Association reports that the majority of adults that damage their teeth do so while playing sports. The numbers suggest that anyone can have a tooth chip or severe break at any time–regardless of how careful they are. Gentle Care Dentists has a reputation for completing tooth restorations in a way that makes teeth appear very natural that no one can tell. These are the skills and results of a talented cosmetic dentist. When your family and friends haven’t a clue you’ve fixed your teeth–that’s our mission. The sooner you can come into our dental office, the more options and recommendations you will have for restoring your teeth and smile. 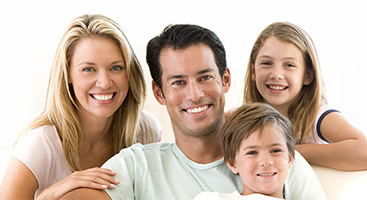 Dentistry has been used in preventative care and how people are treat their health, overall. In the decades past, antiquated metal tools were used. Now, as dentistry has evolved, we look for ways to improve the patient experience, results, and leverage newer technology in order to prevent problems. Some modern techniques involve using a laser while dentists keep patients comfortable and relaxed via sedation. We treat our Arlington,Virginia patients in with great compassion and care. We identify ways to improve the patient experience, the staff at our Virginia dental office will work hard to make visiting the dentist easier and more enjoyable. Our goal is painless teeth cleanings and performing major dental work in comfort, we make our patients our top priority. The second most common disease in the United States is dental cavities. Gentle Care Dentists understands that when patients have healthy teeth, their teeth will be less likely to become damaged. With over 50 percent of Virginia residents experiencing tooth loss, preventative care is critically important. We recommend that patients throughout Arlington, Virginia schedule an appointment with our office to have their teeth cleaned several times a year. During these regular appointments, we can evaluate, diagnose, and remove stains, bacteria, and plaque that hide in hard to reach areas of the mouth. We also carefully look for signs of disease along gums and cavities. If cavities and diseases are present, they can be treated immediately at any visit. The mouth is the gateway to the body and keeping teeth healthy is important because healthy teeth are strong teeth, and strong teeth are at less of a risk for falling out. Teeth are also aligned to other part of the body. While cosmetic dentistry is typically viewed as a way to create a perfect smile, taking the time to focus on preventative dental care is what we are passionate about. Our entire staff at Gentle Care Dentists in Arlington, VA takes the time to educate patients about what they can do at home to stay in great oral health compliance and as a result, we are able to reduce the risk of cavities and gum disease in patients throughout the Arlington, Virginia community. Taking the extra time can make a positive impact on our patients’ oral health status, and that is what separates us from the rest.